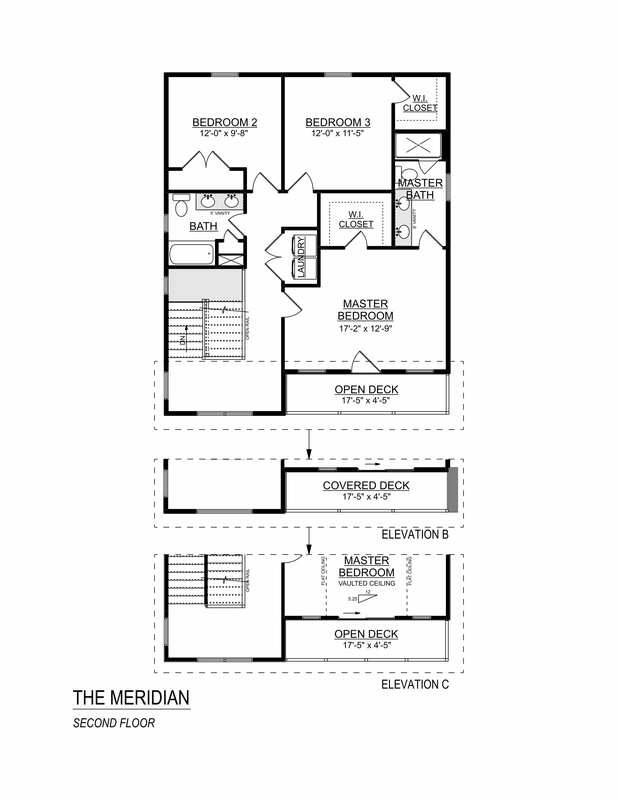 The Meridian featuring 2 story living and open floor plan on the main level. 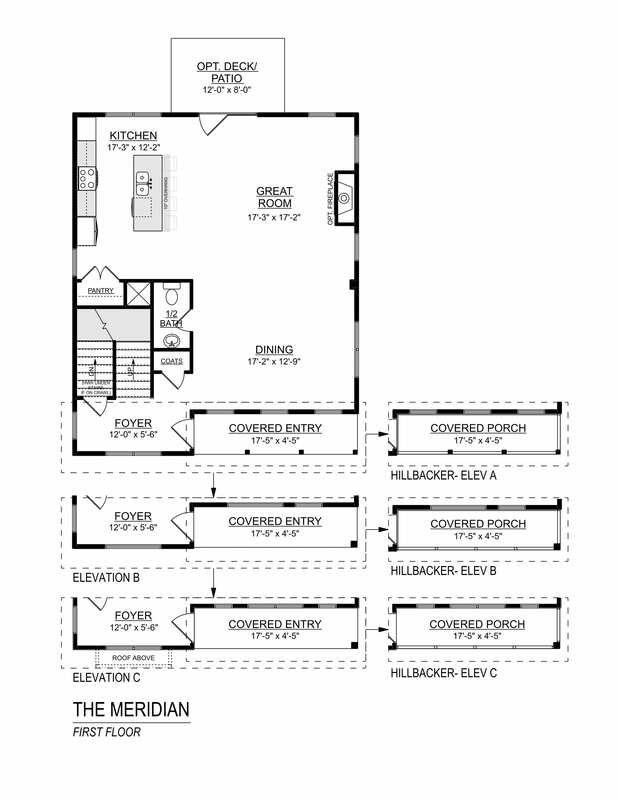 Finishes inside the home include; hardwood throughout the main level, granite countertops and stainless steel appliances in the kitchen, ceramic tile in the full baths. 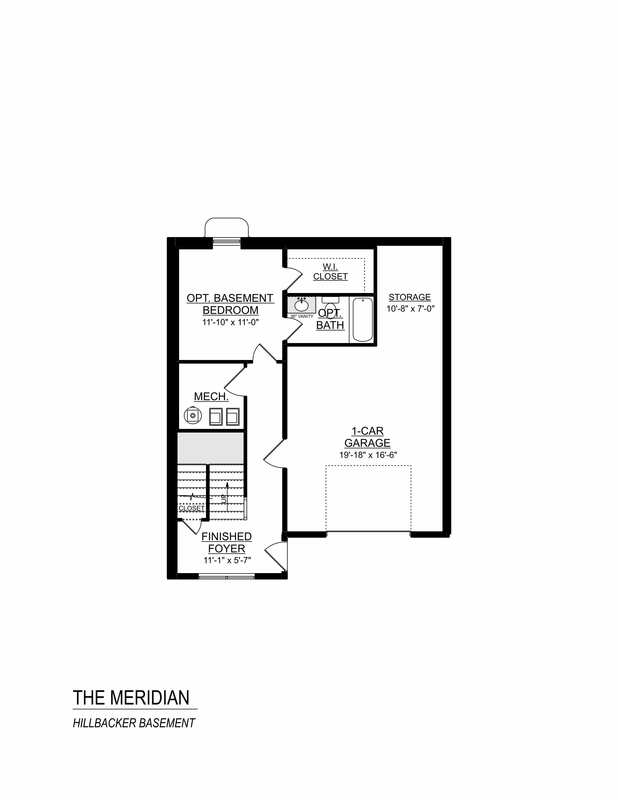 The Meridian features 3 spacious bedrooms and 2.5 baths. Ask about our EcoSmart approach to energy efficiency and comfort via insulation and equipment verified with third party HERS Score. Enjoy choosing your finishes with the assistance of our team in our convenient design center.